This is the first segment of the talks I am giving at my workshops in Vienna. The Vienna course is ten months; and we meet once a month. The talks are usually given in the mornings. By posting them, I can share with you all a small part of what we are doing at my institute in Austria. The institute offers very rigorous courses in psi development and personal growth. This first segment leads to a discussion of entanglement that I will post later this week, and then on to mass consciousness. I hope you enjoy it. Comments are welcome. Telepathy is one inner sense that crosses over. I define it as the perception of anything that is made from thought. Thought can be perceived in images, emotions, physical sensations, or in something like words. So telepathy is in between, an ability that picks up thought in all its various forms. That includes thought-forms in all their manifestations, such as the body you inhabit. Telepathy is the perception of all thought and of all thought-forms. It is also the perception of thought-forms in action. That is enormous. As far as I’m concerned, telepathy is the chief means of information flow. Each cell operates telepathically. Each organism. Each human. Each civilization. Were it not so, we could not survive. There would be only chaos. Without mass telepathy, no civilization could even begin. We wouldn’t have language. For that matter, we would have no communication with our bodies and would therefore be unable to create them. We would not be able to create or sustain any physical telepathy. Truthfully, not even subatomic particles could communicate. Telepathy is always in operation, but the way tests are conducted in scientific laboratories, the mind-boggling extent of it is well beyond the technology we now have to scientifically pick it up. We cannot properly talk about a sender and receiver, although we will operate along those lines in this class. Tests show that sending and receiving are not easy to separate, or don’t exist. The receiver, for instance, may pick up the thought or telepathically transmitted experience before it was sent. A lot of these tests involve random generators, computers that randomly select, say, an image of something that provokes a response such as calm, or happiness, or rage, or sadness or stress. The sender is in one room with the computer and the receiver is in another. What is expected is that when the sender is exposed to a randomly picked pictured, let’s use for example a stressful picture, the receiver will pick up the stress signals. And that will happen quite often far above chance. But what also happens is before the picture is selected, and before the sender experiences the stress the picture causes, the receiver is already picking up the stress. Because of results like this, many psi researchers believe that we cannot speak of telepathy in terms of information transfer. 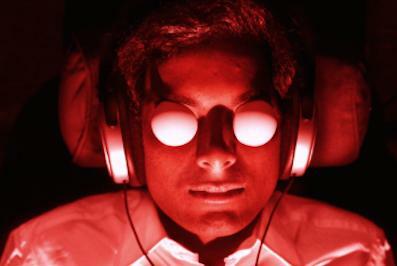 Ganzfeld tests are when a person is exposed to a stimulus, such as something that produces stress, and another picks it up. 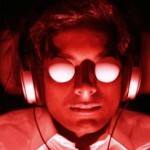 Dean Radin, one of my most prized endorsers of my book, The Last Frontier, has worked a lot with Ganzfeld experiments. He is the senior scientist at the Noetics Institute (Petaluma, CA), which was begun by the astronaut, Edgar Mitchell, the seventh moonwalker, whose experiences with psi phenomena in space were so extreme he came back resolved to dedicate his life to research. Anyway, Dean Radin put together what is called a meta-analysis of all the Ganzfeld experiments conducted from 1974 to 2004. The hit rate was 32%. Chance would have been 25%. This 7% above chance is odds against chance of 29, 000,000,000,000,000,000 or 29 quintillion to one. A quintillion times better than the meta-analysis done on aspirin’s beneficial effects on reducing heart disease. The subjects who participated in these trials were not picked because they exhibited telepathic abilities. For the most part, they did not have any special skills. However, tests show that so far, no one has been found without telepathy. Despite these outstanding test results and an ad nauseum number of other trials that demonstrate telepathy, this natural ability is still considered nonsense by many scientists and skeptics alike. In fact, the whole subject of psi is willfully ignored in research. Of more than 3,000 traditional colleges and universities worldwide, less than 1% host faculty who publicly admit interest in psi research. Nor does psi research get funding. From all we know, thought is everywhere at once. It respects neither time nor distance. But what is it? We can know something about what it is not from telepathy and remote viewing tests. These are usually conducted under tight controls, such as placing a sender and a receiver or a single remote viewer in separate Faraday cages. Faraday cages are set up to block certain kinds of waves, most typically electromagnetic waves. Despite that blocking, telepathy and remote viewing still occur. Furthermore, the strength of electrical and electromagnetic fields drops off quickly with increasing distance. If psi activity were mediated through any form of ordinary physical field, we’d expect psi accuracy to drop off rapidly with increasing distance. But psi experiments with telepathy and remote viewing, as well as remote healing, conducted under conditions of heavy EM shielding and at long distances do not show significant declines in accuracy. That means we cannot identify a conveyer of thought. It is not carried electrically or magnetically. Nor can it be identified with any known wave or particle. It just seems to show up, without respect to distance and time. By the way, telepathy and precognition are the same, the difference is a matter of where or when focus is put. Telepathic perception can also arise in many forms, such as clairvoyance, clairaudience, and clairsentience. Thought and telepathy form consensus realities. And reality is not only different for each and every one of us, it is different to each of us personally every new minute. Our reality of today in this room is not the same as it was when we woke up this morning or yesterday. Think about how you experienced reality in your childhood. Still, how do we make these realities? Most of us assume reality is just there, ready made for us to manipulate, like a stage set in which we move props around to play out our dramas. But the truth is, we create reality by telepathic consensus.